Batter up! 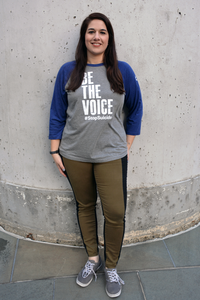 You don’t have to play baseball to look great (and feel comfortable) in this Unisex Be the Voice Baseball Shirt. 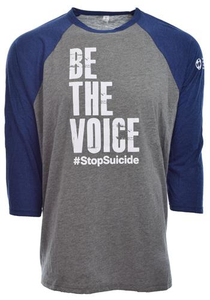 With blue sleeves, a grey body, and white lettering that says, “Be the Voice, #StopSuicide,” you’ll spread awareness for our cause while rounding the bases, or just going for a walk. 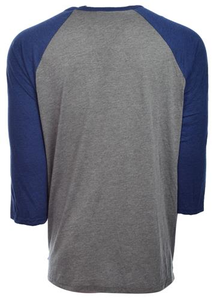 Features our new logo on the left sleeve.